Lab technician Brian Hemming prepares drug trial samples for shipment Wednesday, April 25, 2018, at Clinical Trials of Texas in San Antonio. The center conducts trials on human subjects for drugs that have not yet been fully approved. SAN ANTONIO — Whether it’s clinical trial companies in medical towers or research buildings dotting the outskirts of this sprawling city, Rio Grande Valley optimists have envisioned what could be. San Antonio has now become a hub for medical research, thanks in part to the University of Texas Health Science Center at San Antonio — established in the second half of the 20th century — as well as the pioneering physicians and those willing to dive into research. Kay Scroggins was one such person. She founded the Clinical Trials of Texas in 2001 and is well-known in San Antonio’s medical research community. Her company studies diabetes, fatty liver and mental health, among many other trials that the city’s demographics require. Clinical Trials of Texas conducts phase one through four studies. Twenty medications and devices that Clinical Trials of Texas has worked on have been FDA-approved and gone to market, the group said. Less than 10 percent of studies actually end up as a medication and on the market, according to Scroggins. It costs $15 billion to bring a single drug to the market, she added. A couple hundred miles south, the Valley’s demographics provide a wide range of study opportunities, according to many in the San Antonio medical community. Those at the University of Texas Rio Grande Valley, its recently established School of Medicine and the city of McAllen recognized this, too. And while these officials have eyed San Antonio as a medical model, UT Health San Antonio President William L. Henrich gave a warning. 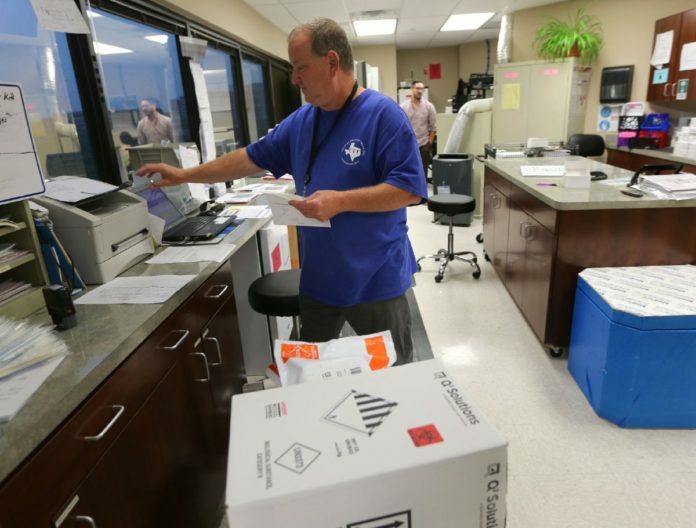 Local support has been a contentious issue for the UTRGV School of Medicine, as a health care district has gone to Hidalgo County voters multiple times in recent years and failed. Municipalities and the county, however, pledged ranging annual contributions when the medical school was established. McAllen’s contribution in 2018 was for $1 million, but unlike previous payments to the school, this one was specific. The city gave the money for a cancer immunology program, which will be housed at the school’s research facility in McAllen that is expected to open in the fall. The school is currently in the recruitment process for the program director, who school leaders expect will likely bring a team of scientists with him. UTRGV President Guy Bailey and School of Medicine Dean John H. Krouse were on-hand for the city commission’s February vote. “It’s meant to look at the science behind cervical cancer in women,” Krouse said of the cancer immunology research, which he believes could transform cancer care in the region. “The obvious next step in this is clinical care, enhancing access to clinical care, enhancing access to novel treatments. McAllen city commissioners have been divided on pledging money to the school in previous years, and the conversation at the February commission meeting when this vote took place was no different. Some in the San Antonio medical community said they sympathized with McAllen commissioners, since science doesn’t exactly pledge specificity. Researchers could start one place, with a goal in mind, but the science could take them down a completely different path. “The way I would explain that is, we put a lot of our eggs in the manufacturing basket years ago, and we didn’t get a car plant,” said McAllen Mayor Jim Darling, who has pointed to San Antonio as a research model for what McAllen would like to strive for. Darling also cited his experience with the complicated world of science during his nearly 10 years as general counsel to Doctors Hospital at Renaissance. Sofia Hernandez, chief of staff for the School of Medicine, said women in the Valley are twice as likely to die from cervical cancer compared to the rest of the country. While the university and city will foster this cancer immunology program, not all research will be conducted in concert. The Clinical Trials of Texas is an example of that, though in 17 years it has yet to partner with UT Health on research. But beginning in June, it will partner with the new University of Incarnate Word School of Osteopathic Medicine, which opened in 2017. A connection between the school and the research company is Jason Miller, a psychiatrist and professor at the school who also conducts research at Clinical Trials of Texas. Miller and Scroggins stressed the importance of getting students involved in research, or else they won’t know what it entails. Another key, they said, is relationships with the community. Clinical Trials of Texas host open houses occasionally, where anyone who’s interested can come in, receive information, ask questions and see what is being conducted. “Having the right demographic is important from a baseline standpoint,” Miller said. “You need to have the right kind of population for what you’re studying and what you’re looking at. But you also have to create a culture of research where people want to participate in the studies. Darling acknowledged community connection, too. Leisel Koerber, site director at Clinical Trials of Texas, said diabetes research resonates strongly with the San Antonio community. Hernandez said research has been one of the three missions of the school from its inception. A long term goal the school has is to establish a network of medical research across the Valley, she said. That goal includes research partnered with the university, but Hernandez said this goal will hopefully breed research interest from many not associated with the university. Miller called this a “redundancy” in San Antonio, an important step to building independent research.